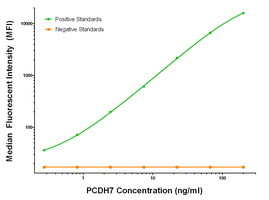 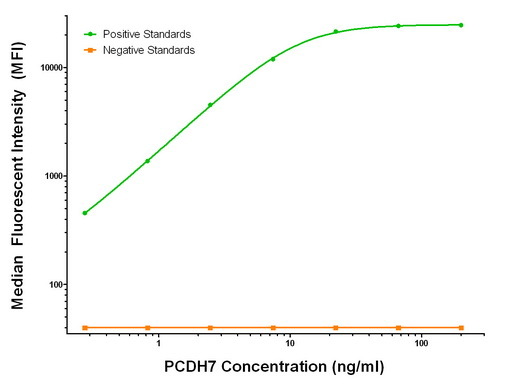 Detection limit for recombinant GST tagged PCDH7 is approximately 0.3ng/ml as a capture antibody. 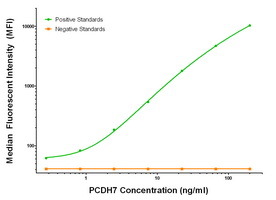 PCDH7 polyclonal antibody (A01), Lot # 051003JC01 Western Blot analysis of PCDH7 expression in SJCRH30 ( Cat # L027V1 ). 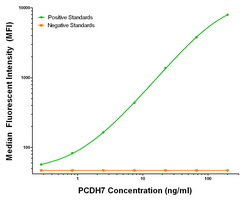 PCDH7 Antibdy (C-term) (Cat. #AP53196PU-N)immunohistochemistry analysis in formalin fixed and paraffin embedded human brain tissue followed by peroxidase conjugation of the secondary antibody and DAB staining.This data demonstrates the use of PCDH7 Antibdy (C-term) for immunohistochemistry. Clinical relevance has not been evaluated. 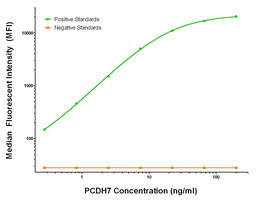 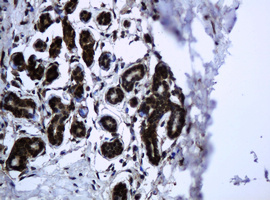 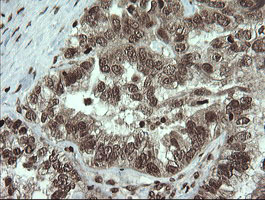 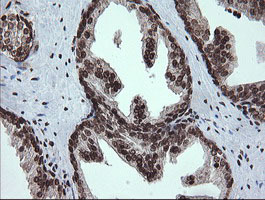 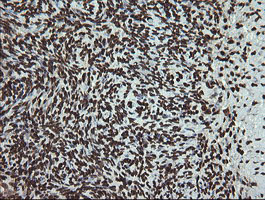 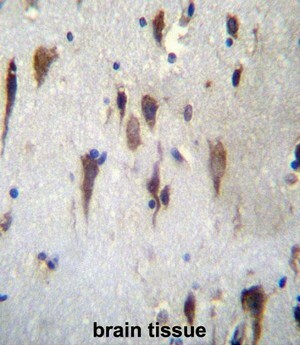 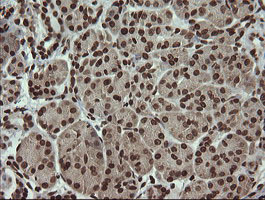 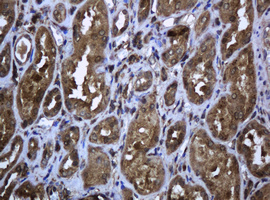 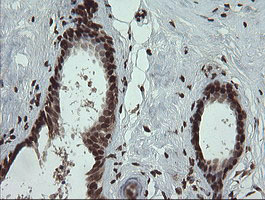 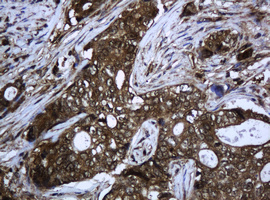 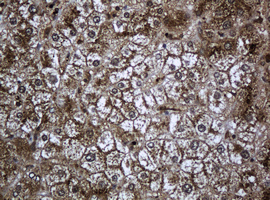 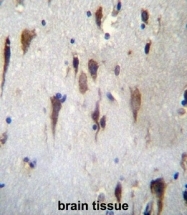 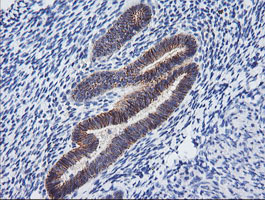 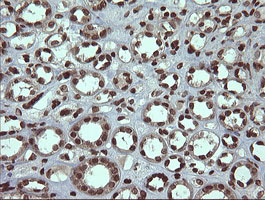 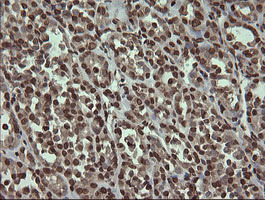 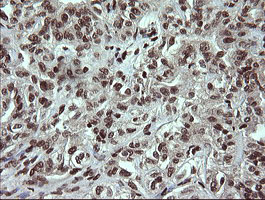 PCDH7 Antibody (C-term) (Cat. #AP53196PU-N) western blot analysis in A549 cell line lysates (35µg/lane).This demonstrates the PCDH7 antibody detected the PCDH7 protein (arrow). 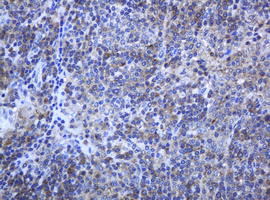 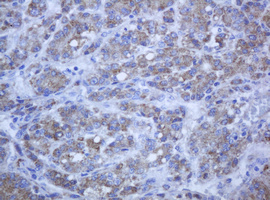 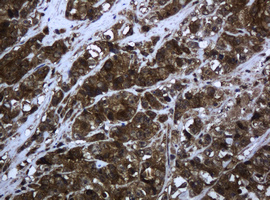 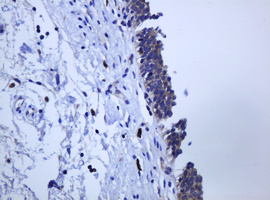 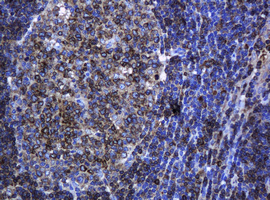 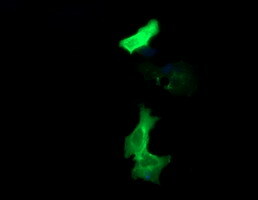 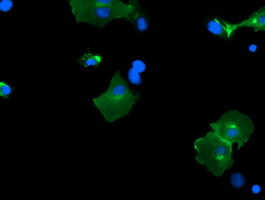 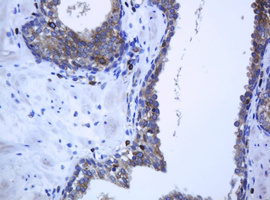 Anti-PCDH7 mouse monoclonal antibody (TA505422) immunofluorescent staining of COS7 cells transiently transfected by pCMV6-ENTRY PCDH7(RC223033). HEK293T cells were transfected with the pCMV6-ENTRY control (Left lane) or pCMV6-ENTRY PCDH7 (RC223033, Right lane) cDNA for 48 hrs and lysed. 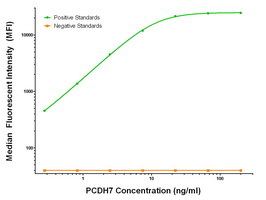 Equivalent amounts of cell lysates (5 ug per lane) were separated by SDS-PAGE and immunoblotted with anti-PCDH7. 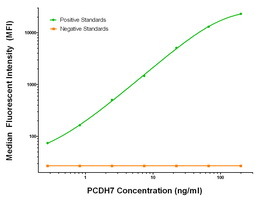 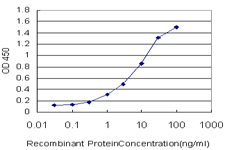 Western blot analysis of extracts (10ug) from 1 cell line by using anti-PCDH7 monoclonal antibody at 1:200. 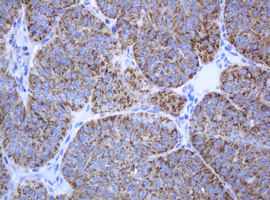 Anti-PCDH7 mouse monoclonal antibody (TA505452) immunofluorescent staining of COS7 cells transiently transfected by pCMV6-ENTRY PCDH7(RC223033). 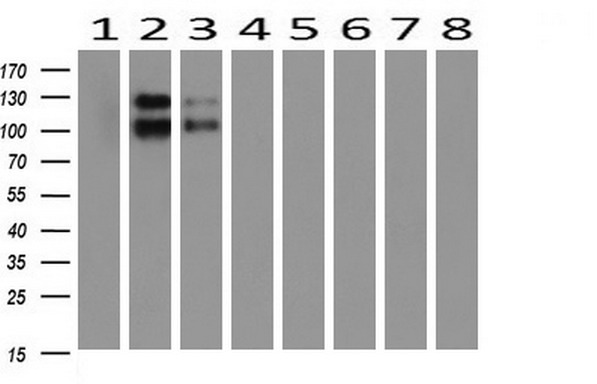 Western blot analysis of extracts (10ug) from 8 Human tissue by using anti-PCDH7 monoclonal antibody at 1:200 (1: Testis; 2: Uterus; 3: Breast; 4: Brain; 5: Liver; 6: Ovary; 7: Thyroid gland; 8: Colon). 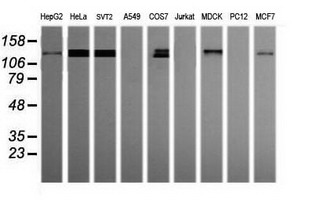 Western blot analysis of extracts (35ug) from 9 different cell lines by usin g anti-PCDH7 monoclonal antibody (HepG2: human; HeLa: human; SVT2: mouse; A549: human; COS7: monkey; Jurkat: human; MDCK: canine; PC12: rat; MCF7: human). 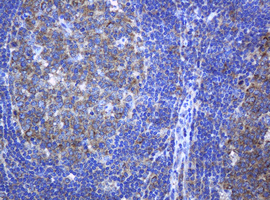 Anti-PCDH7 mouse monoclonal antibody (TA505537) immunofluorescent staining of COS7 cells transiently transfected by pCMV6-ENTRY PCDH7(RC223033).